Stat Climate Control has been providing heating and cooling in Calgary since 2001. We pride ourselves on providing exceptional customer service and getting the job done right the first time. We provide expert HVAC installation, repairs and maintenance for furnaces and air conditioners. We can help take the confusion out of replacement HVAC equipment guiding you and allowing you to determine the best heating and cooling system for your budget, floor area and ventilation requirements. If you’re looking at replacing your furnace or air conditioner, count on our experienced team who are trained and licensed to install your heating and cooling system right the first time. 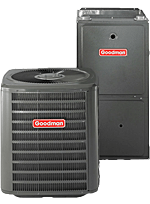 All HVAC systems are covered by warranty and if your system does not initially perform as expected you can count on us to return quickly to provide the comfort level you want in your home. When it's time to install or replace your home’s furnace or heating system we can take you through the step by step process to help maximize the investment for your home comfort. We offer a customer satisfaction guarantee and we have the expertise to install any residential furnace or heating system. Our heating specialist will begin by evaluating your home's square footage, the insulation and existing ventilation. Once you have decided on your budget we can show you the options available including each system's AFUE rating to help you choose a more energy efficient furnace or heating system. We also have financing available should replacement come at an inopportune time. We'll explain the warranty coverage and the maintenance required to keep your system running up to specifications to maximize its life cycle and energy efficiency. No matter how old your home is we can find you a suitable heating solution to provide comfort during Calgary's coldest winter days. When your furnace or heating system breaks down Stat Climate Control Solutions can provide immediate, reliable repairs to get the heating system up and running quickly. We provide 24 hour emergency furnace and heating system repair 7 days a week. Because we’re experienced and have the most common parts for most repairs on-hand, you can count on us to get the job done correctly, the first time, and you won’t be left in the cold. Stat Climate Control Solutions provides furnace and heating repair in Calgary, Okotoks, Chestermere, Cochrane and Airdrie. The first, and most important step in deciding to install air conditioning is choosing qualified, licensed professionals. Installation of HVAC systems is not a simple process or exactly the same for every home. One miscalculation in the procedure will lead to constant servicing and repair, higher electrical bills and shorten the lifespan of the unit. Because of the years of experience we have with air conditioner installation we can install it correctly, the first time, and ensure it runs at peak energy efficiency for optimal performance giving you years of satisfaction with your indoor cooling. When your air conditioning system breaks down Stat Climate Control Solutions can provide immediate, reliable service and repair to get the cooling system up and running. Because we’re experienced and have the most common parts for most air conditioning repairs in our service vans, you can count on us to get the job done right, the first time. Stat Climate Control Solutions provides air conditioning and cooling repair in Calgary, Okotoks, Chestermere, Cochrane and Airdrie, call us for dependable cooling repair and servicing. We can help with financing options for a new furnace or air conditioner immediately. 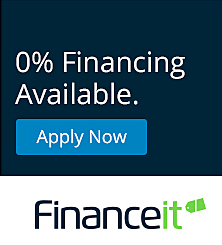 We work with Financeit who try and take the hassle out of borrowing and make it simple to qualify. If you’re interested in financing or would just like to discuss what your options are for staying warm and comfortable contact us today. Bay 14 2221 41 Ave N.E.